We all know that certain foods aren’t good for our bodies: fast food, caffeine, alcohol, candy, cookies, and other manufactured foods. However, does eating these foods really cause pain? Our digestive system or gut is lined with millions of special cells and good bacteria. These cells allow the food we eat to be absorbed and used for energy. Certain foods including dairy products, gluten, soy, legumes, caffeine, alcohol, trans fats, refined sugars, and grains are destructive to the gut. The ineffective food sources punch holes in the lining allowing harmful materials to pass through and into the bloodstream. This stimulates a chemical process in our body called inflammation. Inflammation is part of the body’s immune response. It protects the body from harm when there is trauma, or damage from an injury. The body is creating this response to help heal itself but with continued occurrence it becomes chronic. The ineffective nutrients pass into our body and can accumulate in different areas of the body causing aches, pains, and swelling due to the recurrent inflammatory response. In addition, the destructive foods allow bad bacteria to form in the gut that compete with the good bacteria (that supports our immune system function) and can lead to more inflammation. 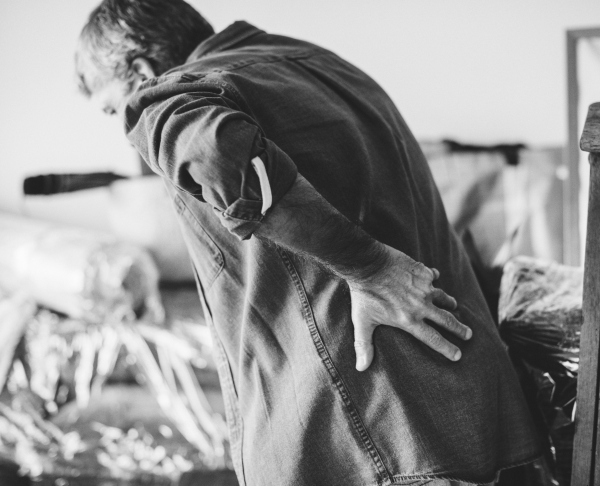 The inflammation doesn’t discriminate where it will end up and can end up affecting joints throughout the entire body knees, shoulders, and yes, even your back. It isn’t just the inflammatory process that we have to consider. The ineffective foods that we eat can lead to weight gain and layers of fat. Excessive weight causes increased pressure and wear and tear on our joints. The joints will wear out quicker and can even cause stiffness, decreased range of motion, and decreased in muscle activity. Here is a good example. I had a 34 year-old, female, patient with low back pain and we incorporated some nutritional changes into her care. We began to notice overall that she needed chiropractic care less often and her pain levels as a whole were decreased by making a few simple changes in her diet. You can have a back problem that is started by an injury or musculoskeletal issue but what you are eating may be preventing you from healing as well as you should or as quickly as you should. If you want to make it simple eat colorful foods to cut down on inflammation in your body. Taste the rainbow (and I don’t mean Skittles)! The best foods for healing inflammation are vegetables, fruits, bone broth, healthy fats including avocado, coconut, and nuts, and grass-fed proteins.